Apple Authorized Reseller Adorama and AppleInsider have teamed up to give away 3 years of AppleCare extended protection with each of Apple's 3 standard early-2015 13" MacBook Pros when using the links below and promo code APINSIDER. In total, readers can save between $248 and $278 off Apple's price when using the instructions below, with the added benefits of free shipping and no sales tax on orders that ship outside NY & NJ. This deal is valid until 11:59pm ET on July 31st. Additionally, Adorama is offering between $119 and $200 in instant discounts on the following three built-to-order configurations when using the links below (or in our Mac Price Guide) and applying promo code APINSIDER during checkout. In each case, these are the lowest prices anywhere and the lowest prices we've ever seen for these early-2015 configurations; plus free shipping and no sales tax on orders that ship outside NY & NJ. This deal is valid until 11:59pm ET on July 31st. Similarly, AI has teamed up with Adorama to provide absolutely unbeatable discounts across all 14 different configurations of Apple's new 15" MacBook Pros bundled with AppleCare when shoppers combine promo code APINSIDER and this new $100 Rebate. 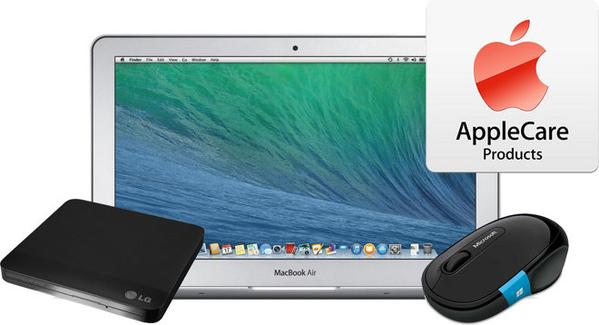 You'll also get your choice of one free or deeply-discounted accessory, such as: a Microsoft Sculpt Bluetooth Comfort Mouse (Free), LG Super-Multi External DVD Rewriter (Free), Sabrent USB 3.0 HUB (Free), Canon PIXMA MG6620 AirPrint Printer ($49), or AppleTV ($37.95). Or, for readers who don't mind last years model in exchange for deep discounts, Adorama is offering Apple's 15-inch MacBook Pro (2.5GHz, 16GB, 512GB, 750M) model MGXC2LL/A for $1,999.00. However, AppleInsider readers who use this link and then apply Promo Code APINSIDER during checkout will be able to drop the price down to $1,949.99 with free shipping and no sales tax collected on orders shipped outside NY & NJ. That's $550 off MSRP and the lowest price anywhere for this model by $49, according to our Price Guides. B&H also has it for $1,999.00. Or get this same MacBook with AppleCare included for just $2,129.00 after applying Promo Code APINSIDER (-$364.99) and this AppleCare rebate (-$50). Another limited time deal from AI and Apple Authorized Reseller Adorama offers Apple's mid-2014 11" MacBook Air (1.70GHz/8GB/512GB) model MF067LL/A with AppleCare for $1,089.00 with free shipping and no sales tax collected outside NY & NJ. That's $809 off the original MSRP for the MacBook with AppleCare, $359 off their current MSRP, and the lowest price we've ever seen for this bundle. To take advantage of this offer, follow the detailed steps below or use the links in this article (or our Price Guides) and apply promo code APINSIDER during checkout and then complete this $50 Rebate (issued in the form of a Amex pre-paid card) after your order ships. Please Note: the prices advertised in this deal are valid as of July 27th at press time, but are subject to change at any time, as are the free items included with the deal. For the latest prices, always make sure to double check our Price Guides.